Performers and organizers from last year’s Apollo Night posing for a picture after the show. All is quiet as Jesse Camper, freshman at IU South Bend, walks to the front of the room ready to audition his talent as a spoken word artist for Apollo Night, the upcoming Black Student Union (BSU) and Titan Productions event. The silence breaks when he begins energetically spitting out verses with a powerful tone. His movements match the passion in his voice as he paces from one side to the other. He bows his head when his is finished and the small crowd of four snap their fingers in delight inside Fireside room A&B of the Grille last Thursday, Feb. 6. “What I do is similar to poetry and almost flows like a rap, but is meant to be more powerful and inspiring,” Camper said. The Apollo Night event is in honor of Black History Month and will take place at 7 p.m. on Friday, Feb. 21 at the University Grill. Jasmine Allen, president of the Black Student Union, has been busy preparing for the event and shared what it means to her. Mercedes Jones, student and BSU member, was in attendance at Thursday’s audition. Jones said she hopes that they can get more to come out and audition. “I want to see more diversity; we welcome all students to participate in this event,” Jones said. She said she’s always surprised to see people she’s known around campus performing something that she never imagined they even did. “I got to see Jesse’s audition, and he’s really great. I mean I’ve seen him around campus but I didn’t know he had all that in him,” Jones said. Camper said he got into spoken word poetry a few years ago and really enjoys expressing himself in this way. Allen said she hopes people will come to Apollo Night, an event that celebrates a historic venue, honors Black History Month and supports local talent like Camper and the other performers. “We hope to provide and night of entertainment and awareness,” Allen said. For more information visit the event’s page on Facebook. 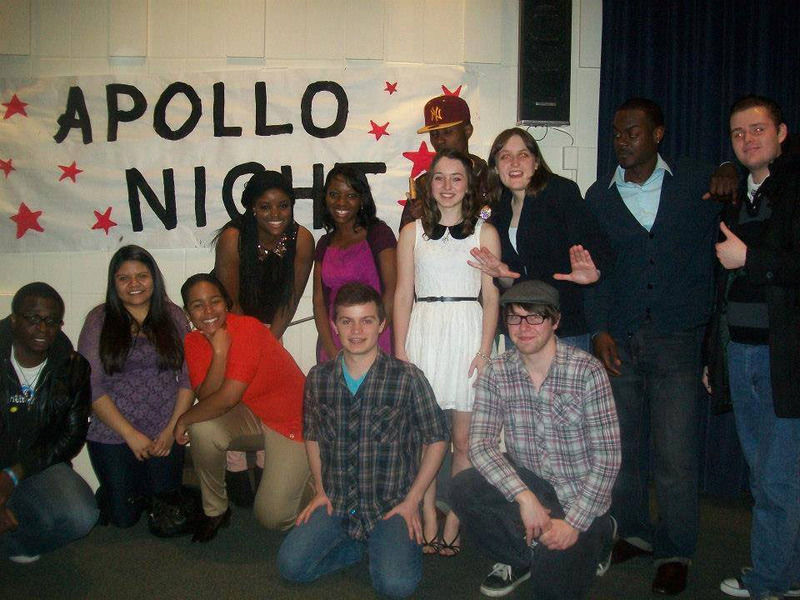 Students interested in auditioning for Apollo Night can contact Jasmine Allen at jajallen@iusb.edu.